Imagine yourself all dressed up and ready to go out for a night on the town to celebrate Valentine’s Day with your loved one when suddenly you spot a rodent scurrying across the floor of your house! That’s a terrible way to start what should be the perfect evening. Don’t let that happen to you. Call Brezden Pest Control at 800-464-9446 now and let us give you a free estimate of what it will take to have our rodent control and exclusion services in your home. The San Luis Obispo area is a great place to live, but unfortunately the very climate that makes this area so inviting can also welcome many unwanted pests into our homes and gardens. The Central Coast of California is home to earwigs, bats, ants, bed bugs and other creatures that can make our lives miserable if they decide to make their home in our home. My wife, Maria, and I founded Brezden Pest Control in 1980, so we know what it takes to provide effective rat control, bird control, ant control, and termite treatment services. For example, if you call us about a rat problem, our technician will perform a thorough inspection of your property to determine the extent of the infestation and why and how the rodents are entering your home. Depending on your home and the degree of infestation, we might recommend using baits in tamper-proof bait stations, snap traps, live traps, or exclusion. Our technician will also provide suggestions about what you can do to prevent further rodent infestation. We also recommend a new natural insulation that combines eco-friendly insulation and pest control to keeps bugs out and warm air in. Thermal Acoustic Pest Control, or T•A•P insulation, from Pest Control Insulation Systems is a blown-in cellulose insulation that is installed on top of existing home attic insulation. The product incorporates two common technologies, borate-based pest control and premium cellulose insulation, which results in a patented, Energy Star-labeled, pest control insulation with fire-retardant, sound-deadening and pest-controlling properties. Brezden Pest Control is proud to be the premier pest control company in and around San Luis Obispo County. 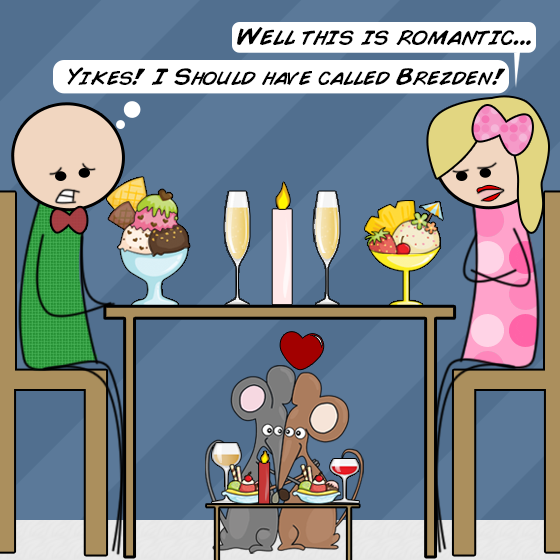 Don’t let unwanted pests spoil your Valentine’s Day. 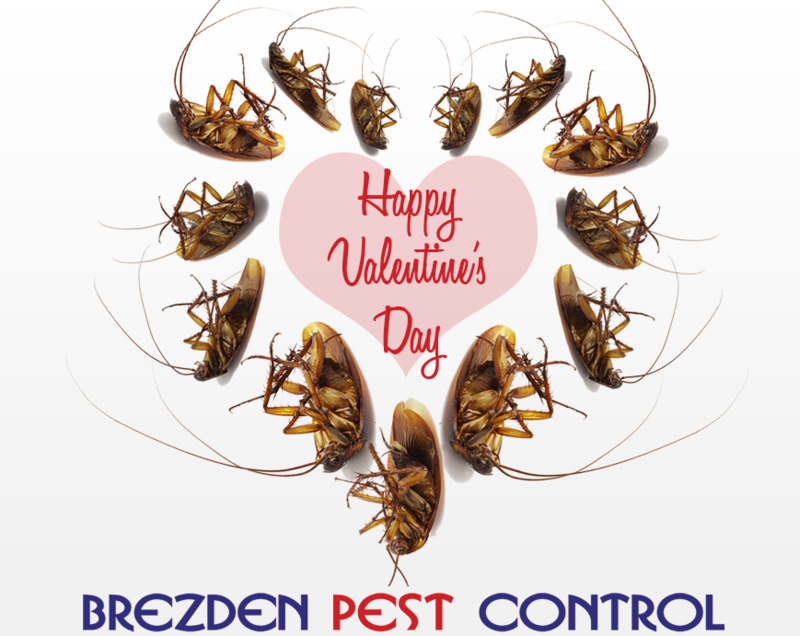 Whether you need help with pest control or dead animal removal, call us now for a free estimate and let Brezden put your mind at ease so you’ll enjoy time with your loved one. Meet Shelly Johnson: Shelly Johnson, Brezden Pest Control’s Office Manager, talks about our family owned and operated business. Q1: Do Bats pose a health risk? A1: While they may appear furry and harmless, bats can carry diseases such as rabies and their droppings can harbor various toxic molds and fungi. Q2: How can I tell if I have mice in the house? A2: Mice are nocturnal, so although they may have claimed your home as their own it can be hard to spot them. Some signs of mice activity include torn paper bits, hair, and leaves, all of which mice use in nest building. Q3: How many eggs do bed bugs lay in their lifetime? A3: Females can lay more than 200 eggs in a lifetime. About Brezden Pest Control – Brezden Pest Control was founded in Cayucos by John and Maria Brezden in 1980. As the business grew, it expanded to serve all of San Luis Obispo, Paso Robles, Los Osos, Cayucos, Cambria, Five Cities, Atascadero and Santa Maria. Professional pest control services which Brezden provides include dead animal removal, pest inspection, rodent control, and termite treatment. Visit the website and Facebook page or call 1-800-464-9446 for a free estimate or advice on holiday pest control.